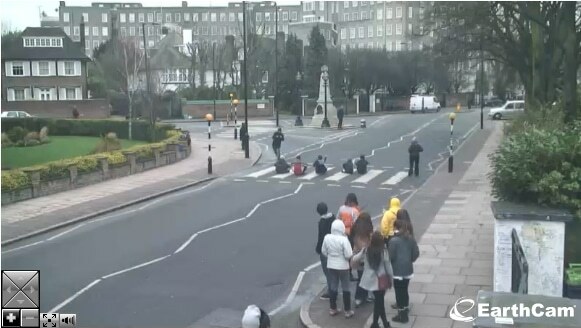 This Abbey Road crossing gets a lot attention from people as it was made famous by the Beatles as the location for their iconic Abbey Road album cover. This zebra crossing, which was granted Grade II listed status in 2010, has to be the most famous one in Britain. In an attempt to recreate the iconic image, Beatles fans and tourists alike regularly pose on the crossing for photographs. 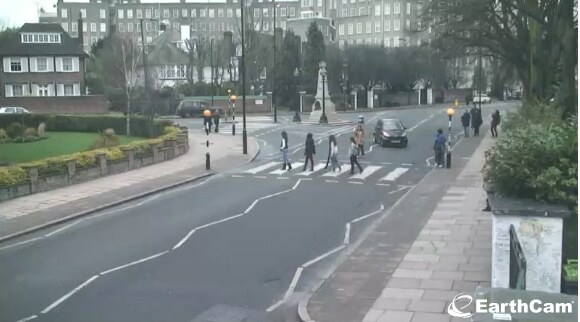 This tradition has become so amusing that a CCTV camera has been set up at the Abbey Road studios to capture the action at the zebra crossing and it is broadcasted on to the web.